superslow examines site and material in relation to geologic and architectural time. superslow draws on Lucy Bleach’s practice of sculptural responses to geological processes that frame concepts of volatility, impact and resonance. By slowing down the experience of these forces, the artwork presents opportunities for intimate encounter and understanding. superslow presents a process-based sculpture that materially alters during the course of the exhibition, presenting a body of work in slow flux. “Time is flexible. It exists both as a measurable entity and as a sensing of duration. In both aspects it is not fixed. It is entirely relational. In relation to the second of these aspects time seems to both accelerate and slow down, depending on the mind’s connection and engagement with a particular activity or phenomenon. To illustrate the point I would suggest that the apparent duration of phenomena changes according to the degree to which we allow ourselves to shift from the mindset within which we operate and break with the endless round of activity which demands quick response with little time for reflection or deeper engagement. Any art which requires a slow unfolding of natural processes seems to require of us that we accept that we slow down to allow ourselves to enter an experience rather than receive information. A Pop Art painting has a very brief half-life, a few seconds to absorb completely and the experience is over. The average time spent in front of an artwork in a museum or gallery is less than a minute. Busloads of tourists in the Louvre spend just long enough in front of the Mona Lisa to get a quick photo and move on. We want information that is not about engaging with a work and has a lot to do with looking but little to do with seeing, (engaging and learning). We want it fast and we want it simple. The first work by Lucy Bleach that I encountered was some years ago when she tied a barge in Waterman’s Dock. The barge carried a large construction in bread and the artwork consisted of a sustained attack by seagulls until it was broken down over into a formless thing, a record of its submission to natural forces and ‘natural’ time. The artwork was not simply the construction on the barge; it was the process which transformed it over time. This relation to time has characterised much of Bleach’s work since that time, as has the unfolding of changes through the time natural forces take to operate. There is a relation to Zen in the way we encounter Lucy’s work and it requires a shift in how we engage and how the artwork and the audience for it are able to experience the slow unfolding of such processes, not to mention the unpredictability of the outcomes. During the run of this installation the building of the icehouse happens in the natural time it takes to do such real things. Visitors are encouraged to bear witness to this process as they submit themselves to the fullness of each moment, not just to glance and recognise but to focus on the act, not to want the ‘finished’ object but to become connected to the process itself. Some years ago in Ireland I wandered across a small stone structure, partly overgrown and half embedded in a field. On closer inspection I found an entrance to an icehouse, buried halfway in the soil to insulate it. It intrigued me to learn that the ice could remain solid in there for months at a time defying my conception that ice would naturally melt quickly. Even the creation of the ice in this work must be a slow process. It must be frozen in many small layers or, due to its great size, the interior may not freeze. This process demands its own time and cannot be rushed, we must submit to that natural process or the desired outcome cannot be reached. Music can enforce a time or pace for its unfolding as it exists as a dynamic durational entity, as can video art or sound art. It exists within a set frame of time and that cannot be changed. The growth and changes in a static artwork also take a set time period to unfold but we usually encounter them as ‘finished’ objects, faits accompli. Yet this is somewhat false as the artist has lived each moment of the evolution of the artwork or installation, which we only rarely experience. In superslow we are invited to engage with the whole life of the artwork, to return again and again to witness its unfolding. An installation like this respects the natural and ‘real’ nature of the construction. It is not a false appearance which refers in an indirect or metaphorical way to its progenitor; it is made the same way, brick on brick, as an original functional icehouse would have been. There is no artifice, all is real, true. Such work is not suggesting the mere recognition of the concept ‘Icehouse’; it is a presentation of the real thing. To merely refer to the concept in some theatrical construction would deny the power of material and form to create an object with the power and presence that only actuality can confer. We exist in two modes of engagement. That which gets us safely across the road or allows us to ‘read’ a billboard in a second is necessary to get us from A to B. We are simply looking, recognising and categorising in seconds, then moving on to other recognisable, easily absorbed and defined phenomena. But when we really engage our mind on a phenomenon we slip out of that mode and in doing so move from rapid time to slow time. What we now see is truly ‘seen’ and the longer we engage in this way, the more depth and detail are revealed. The more we enter the object/experience, consequently, the more it enters us”. Lucy Bleach’s practice focuses on human’s varied relationships to tenuous, contingent and at times volatile environments, seeking engagement with communities that authentically experience such relationships, exploring links between the geologic and the intimate, and investigating the potential of vibrational ground. She has produced solo commissioned and collaborative work within national and international contexts and received national funding, awards and undertaken international residency programs. Lucy Bleach coordinates the Sculpture and 3D Design Studios at the Tasmanian College of the Arts, University of Tasmania. 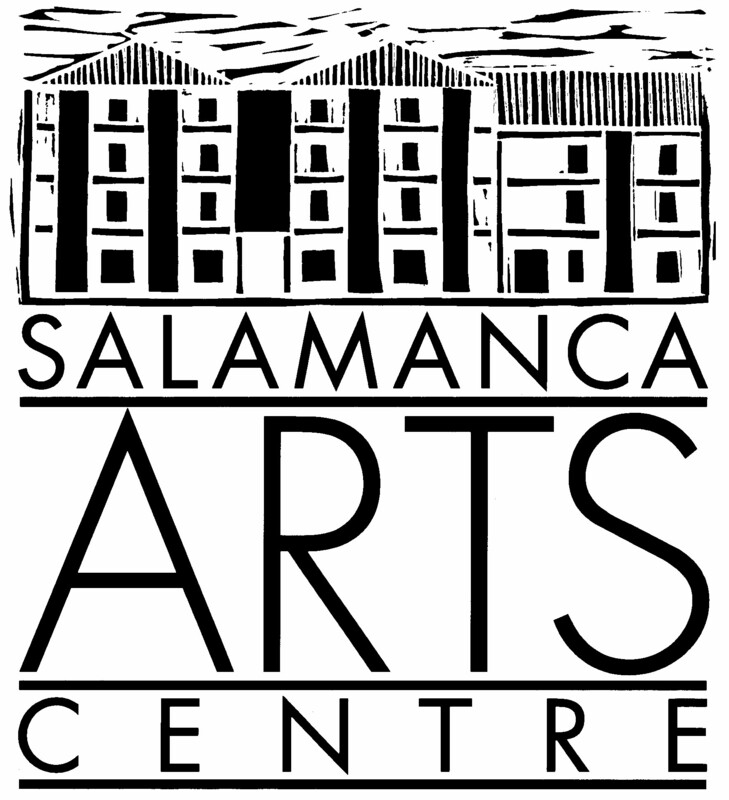 Kelly’s Garden Curated Projects is an initiative of The Salamanca Arts Centre and made possible through the generosity of Aspect Design and fundraising from SAC’s Supporters at the SAC Quiz Night. This Project was assisted through Arts Tasmania by the Minister for Tourism and the Arts. Supported by Arts Tasmania, City of Hobart, Aspect Design and the Tasmanian College of the Arts (University of Tasmania). Image Credits: Lucy Bleach, Fiona Fraser and Lucy Bleach.